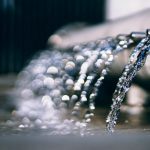 When the temperature heats up outside, a water cooler could very well be on the minds of people everywhere—especially as the summer season approaches with another year of record-breaking heat in tow. Water coolers are a convenient way to incorporate immediate access to ice-cold water into your life. Having a water cooler in your home or office can make this desire for convenience a reality. Water coolers can be purchased through countless vendors and appliance stores, and one popular destination for water coolers is Lowe’s, the home improvement department store giant. Lowe’s typically carries three water cooler brands: Vitapur, Primo, and Aquverse. For this review, we will be focusing on the Vitapur cooler brand because these are the most popular of Lowe’s water cooler collection. The Vitapur model selected for this review is the Vitapur Top-Loading Standing Cold-Water Cooler. It is a popular choice among water cooler buyers and is sold at Lowe’s and a number of other stores. This article will provide a comprehensive review of the Vitapur Top-Loading Standard Cold-Water Cooler, including its specifications, pricing, positive and negative features, and comparison to the competition. The Vitapur Top-Loading Standing Cold-Water Cooler is a common addition to households and offices in need of instant cold water. It offers both room-temperature and cold-water options with the simple push of two piano key-style buttons on the top of the appliance. Water is not included, so users would need to purchase a three or five-gallon water jug to insert into the unit. You can also purchase a Vitapur GWF8 water filtration system instead of a water jug. This water cooler features an adjustable thermostat and a high-efficiency compressor, enabling the appliance to deliver ice-cold water in an instant. 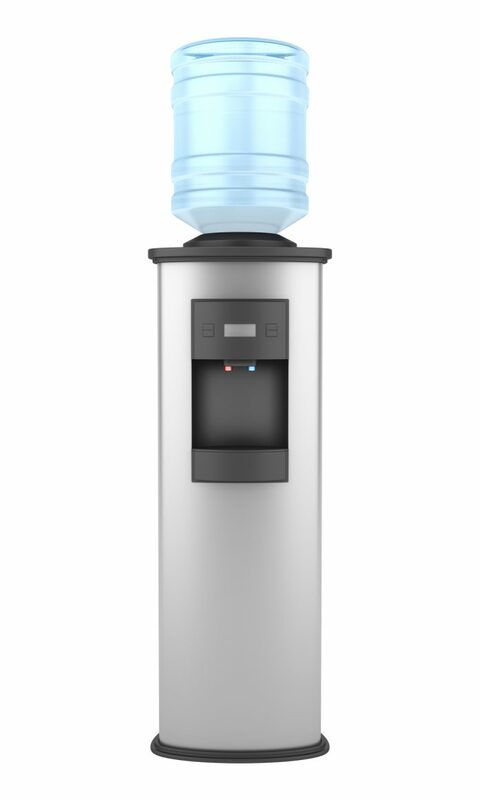 When it comes to specifications and unique features, the Vitapur water cooler has plenty. From its stainless-steel reservoirs designed for long-lasting reliability to its anti-leak bottle support collar, the Vitapur possesses little details that make it more than just your everyday cold-water dispenser. You can even register this appliance for an electronic recycling program when it is no longer of use in your home or office. Lowe’s has the Vitapur water cooler available for $119.97. You can also find this cooler similarly priced at Walmart, Home Depot, and on Amazon, eBay, and Wayfair.com. It is important to note, however, that this cooler also comes with standard push tabs instead of piano-key push buttons for the water dispenser, and some stores and websites have the push-tab version available only. The push-tab water coolers are generally available for slightly less. Certified by ENERGY STAR, the Primo water cooler is a popular, BPA-free brand choice among consumers. It can maintain a cold-water temperature of four degrees Celsius and produce hot water with temperatures up to 98 degrees Celsius. At just $140.99, the Primo water cooler is among the more budget-friendly water coolers available on the market. This water cooler can be purchased for about the same price at Lowe’s, Home Depot, Amazon, eBay, and Walmart. Like most water coolers, the Primo water cooler is relatively simple to use. The water dispenser buttons are easily located on the front surface of the appliance, and there is a child safety latch to prevent children from burning themselves with hot water. Other than small children, people of all ages should be able to easily get themselves some hot or cold water with this machine. The Primo water cooler does not take much time to install and make ready for use. 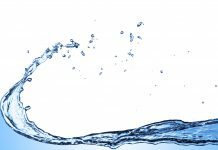 Some people view top-loading water coolers as easier to set up than bottom-loading water coolers, and vice-versa, so the ease of use really comes down to preference and physical ability. It is worth noting, however, that most people report bottom-loading water coolers as easier to use and refill. Although the Primo water cooler looks pleasing at first glance, some users have complained that it becomes defective rather quickly. Unfortunately, this water cooler is also known to leak at the base, bringing the overall build quality into question. Users did mention that the Primo water cooler is easy to put together. A standard, one-year limited warranty is what is offered with the Primo water cooler. Because this warranty is the same as Vitapur’s somewhat lackluster warranty, we chose to give the warranty rating an average score. As the only bottom-loading water cooler on our list, the Vitapur Cold and Hot Water Cooler is a considerable alternative to the Vitapur water cooler that is the focus of our review. Both the hot water and cold water are instant, with the hot water reaching temperatures of up to 98 degrees Celsius, and the cold water getting as cold as four degrees Celsius. Lowe’s sells this Vitapur water cooler for $260.05, while stores like Amazon, Home Depot, Walmart, and eBay sell it for roughly the same price. 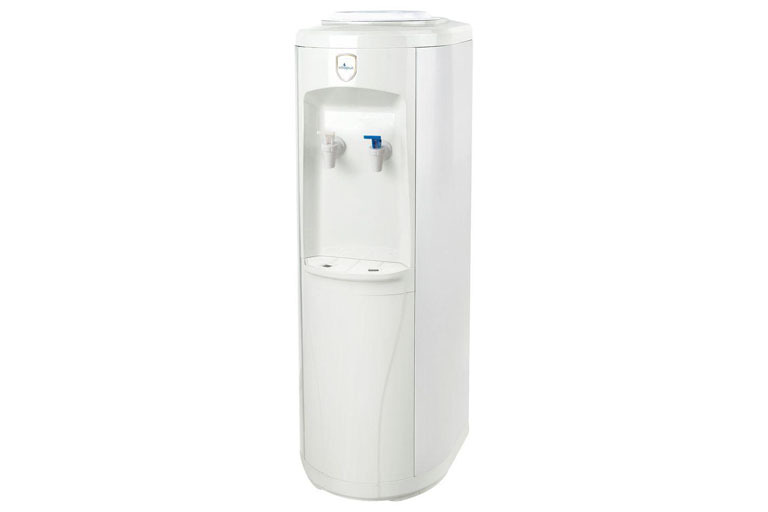 Because it offers hot water in addition to cold water, it makes sense that this Vitapur water cooler is slightly more expensive than the standard, cold-water-only Vitapur water cooler. Because this is a bottom-loading water cooler, most users have deemed it easier to use and refill than other top-loading water coolers. People who have trouble lifting heavy items tend to choose this water cooler. Additionally, there is a child safety latch featured to protect children from the dangers of free-flowing hot water, and the latch can easily be adjusted by adults. This water cooler is like most others in that it is remarkably easy to set up. The bottom-loading mechanism is easy for people who may not want to lift three or five-gallon bottles of water onto the top of an appliance. The Vitapur hot and cold-water cooler has a sleek, stainless-steel design that many people love. However, some customers have also complained of this water cooler leaks. There have also been complaints of the water pump that enables the water to be dispensed from the bottom failing and needing replacement rather early in the water cooler’s lifetime. Additionally, some users don’t like that the red replacement light comes on when there’s still a small amount of water left in the gallon jug. This Vitapur water cooler has the same one-year limited warranty as the standard Vitapur water cooler in our review. In the future, we’d like to see some more extensive warranties for appliances such as this, but until then we’ll have to give the warranty an average rating. As the third of Lowe’s water cooler brand offerings, the Aquverse cold and hot water cooler features a convection-style cooling mechanism with an internal spring-mounted compressor and automatic overload protector. This water cooler also features high-volume, stainless-steel hot and cold tanks that keep hot, room-temperature, and cold water at their perfect temperatures. At $229.00, the Aquverse water cooler is the most expensive choice among the competition. The water cooler can be found for this price at Lowe’s, Sam’s Club, Home Depot, Walmart, eBay, Amazon, the Aquverse website, and other online department stores. This top-loading water cooler comes with the standard push tab levers instead of piano-style push buttons, but that doesn’t make it any less easy to use for the average consumer. It features a child safety latch like most other hot and cold-water coolers, which gives it more features overall than the standard Vitapur water cooler, but because the standard Vitapur only dispenses cold and room-temperature water, there is no need for a child safety feature. 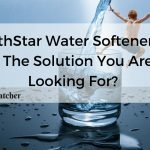 Additionally, some users report that top-loading water coolers are more difficult to refill, which encouraged us to knock half a star off the ease of use rating. The Aquverse water cooler differs little from the competition in terms of setup ease, so the assembly rating remains high for this brand as well as the other brands in our review. When it comes to refiling, users have evenly split opinions on whether top or bottom-loading water coolers are better. Thanks to its patented leak guard, the Aquverse water cooler doesn’t suffer as many leaks as other brands. It also has a simple but sleek black design, and users have reported very little need of repairs or replacement parts. The Aquverse water cooler offers the same one-year limited warranty as all the other water coolers in our review. Because of this, we’ve given it an average rating of three stars and still hope to see better warranties in the future. The Vitapur is a relatively inexpensive, convenient way to have ice-cold and room-temperature water. The cold-water temperature range is large enough. The Vitapur water cooler is limited in terms of the amount of water it can dispense. Vitapur’s simple design, easy setup, and long-lasting reliability make it a worthy purchase consideration for your home or office. 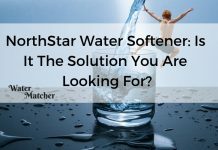 Whether you choose to load it with three gallons, five gallons, or a Vitapur water filtration system, this water cooler is one that users can depend on. The warranty may leave a lot to be desired, but this is the case for most water coolers on the market. Additionally, various protection plans can be purchased for a relatively low cost. Because this water cooler does not feature a hot water setting, some customers aren’t as satisfied with it as they would be with other water coolers and dispensers. Regardless, this water cooler is a minimalistic, stylish addition to your space, promising drinkable water at your desired temperature for years to come. We give this featured product (Vitapur) Lowe’s Water Coolers is the best of these 4 products. Vitapur’s simple design, easy setup, and long-lasting reliability make it a worthy purchase consideration for your home or office. The warranty may leave a lot to be desired, but this is the case for most water coolers on the market. We confidently give it a 4.2-star rating! 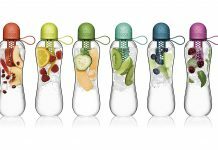 Next articleFifty Fifty Water Bottle Review: Is It Worth Your Money?